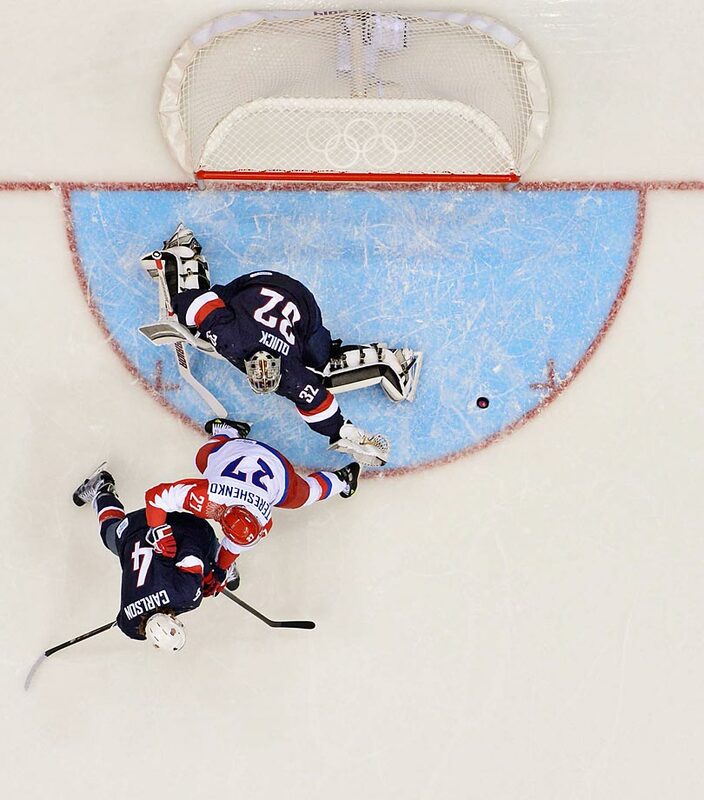 The matchup between the United States and Russia on Saturday may have lacked the political tension that engulfed the game in 1980, but the Sochi version was still teeming with intensity on the ice. 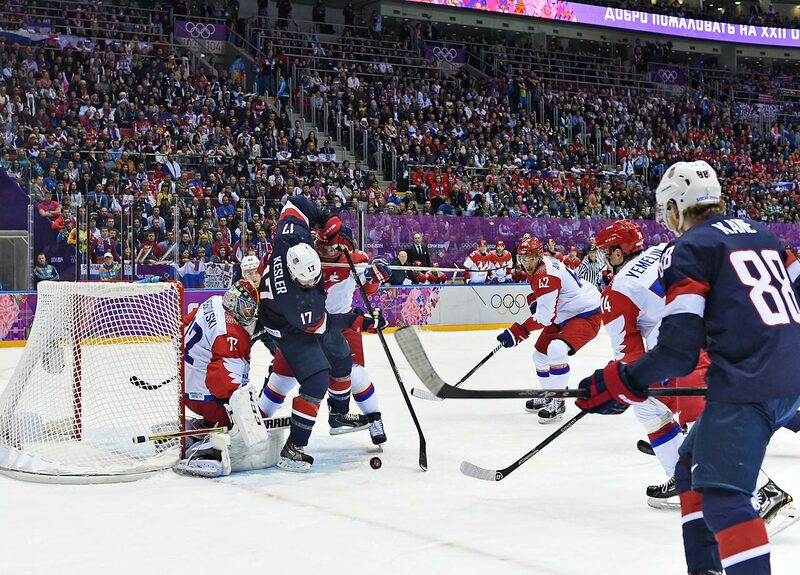 U.S scored the shootout winner as they defeated Russia 3-2 in a nail-biting Sochi Olympic hockey clash on Saturday. 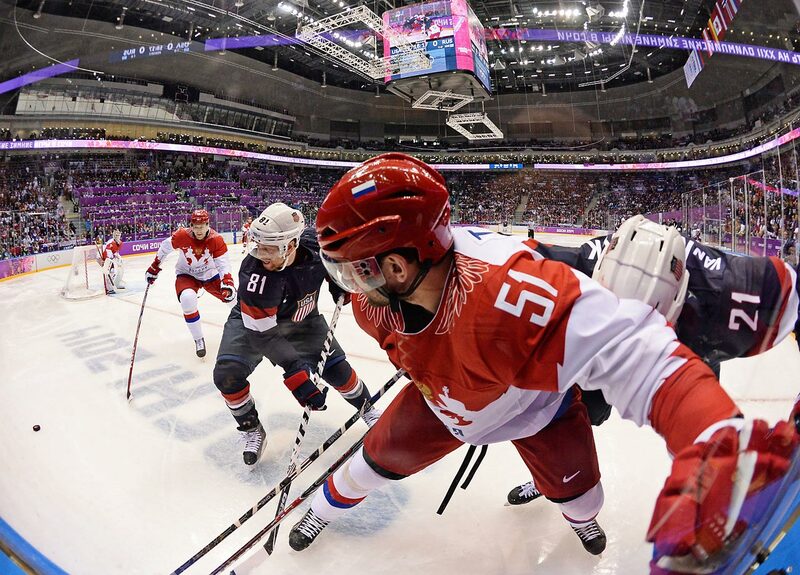 Pavel Datsyuk had two goals in regulation for the Russians, who desperately want to win an Olympic gold medal on home soil at the 2014 Games. Just a few minutes into the first period, Americans Ryan Callahan and David Backes tussled with Russians Evgeni Medvedev and Alexander Syomin in front of the net, with a glove blow from Backes knocking Syomin's helmet off. It may not be the rivalry it once was. But make no mistake: It remains a rivalry in every sense of the word. 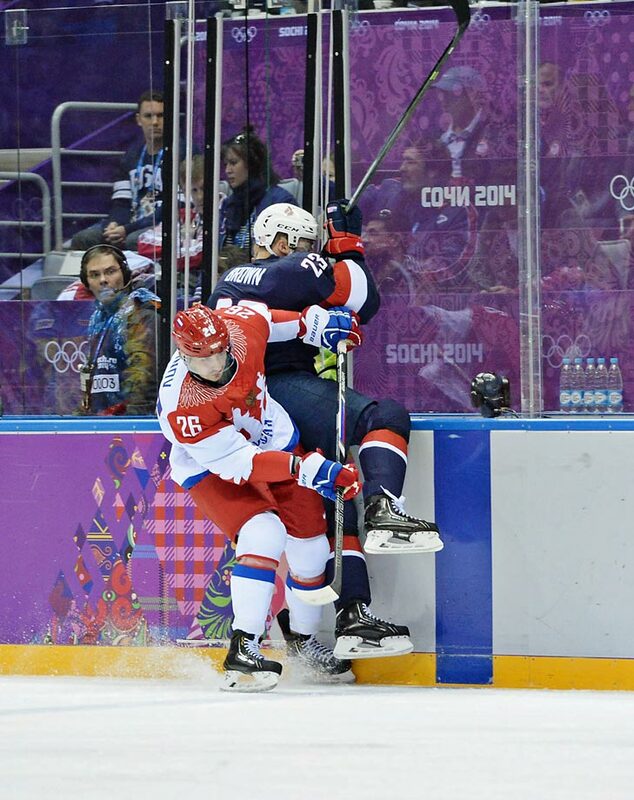 Joe Pavelski and Cam Fowler scored powerplay goals for the Americans with both coming while Russian forward Alexander Radulov was sitting in the penalty box. 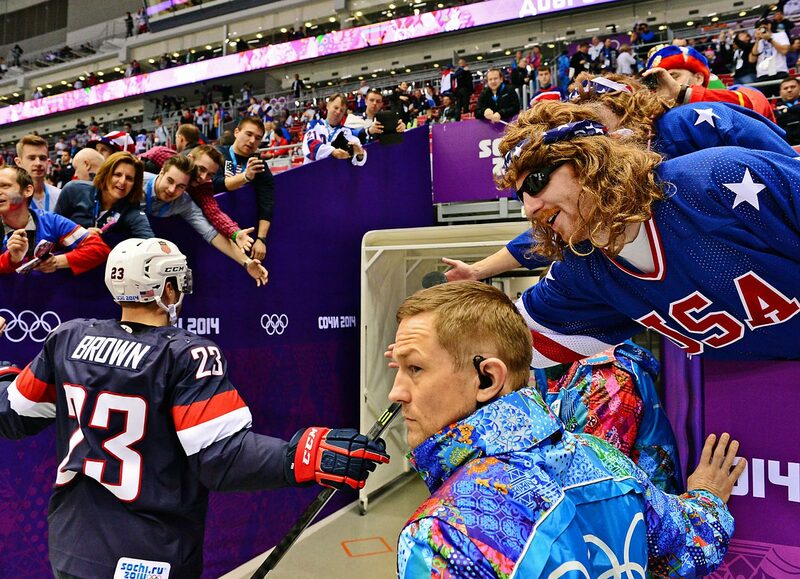 In the stands, the atmosphere was more festive than hostile, a celebration of hockey at the highest level. 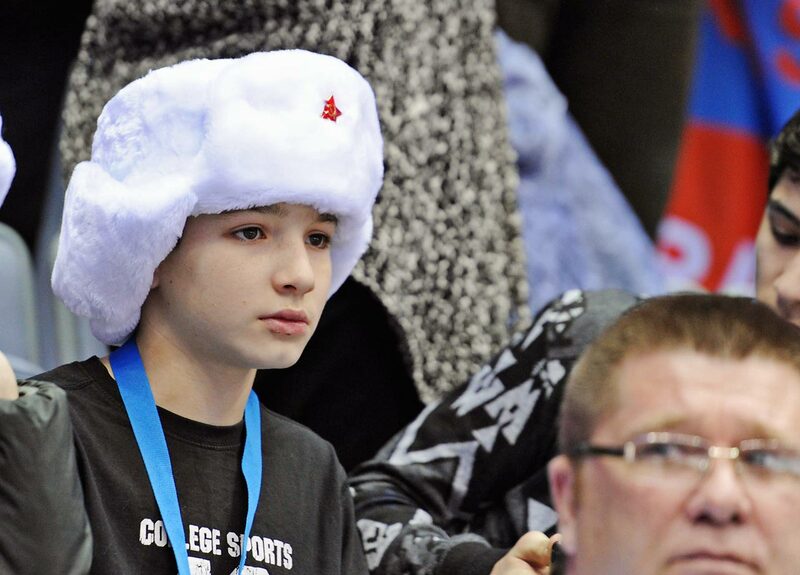 Russian fans overwhelmingly out-numbered the Americans, who were drowned out by whistles on the few occasions they tried to start a chant of "U-S-A! U-S-A!" 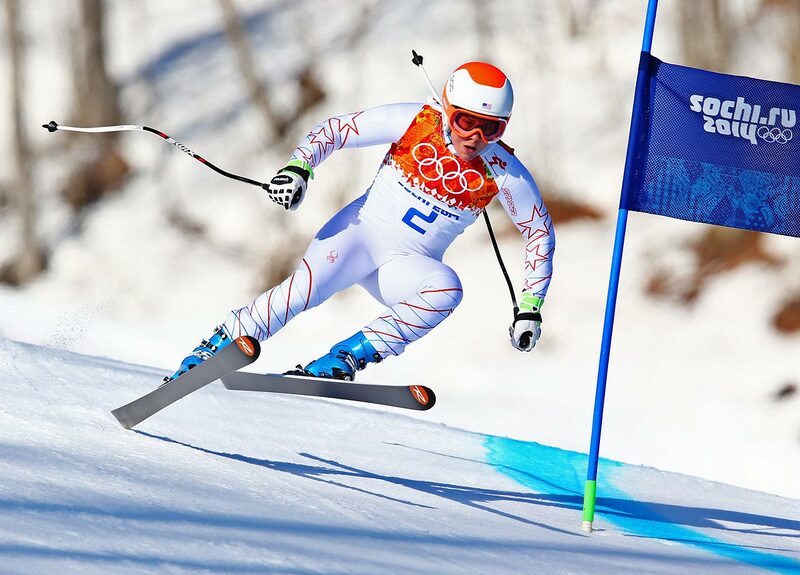 Anna Fenninger became the third straight Austrian woman to win the Olympic super-G, finding a smooth way through a tricky and uneven course Saturday. 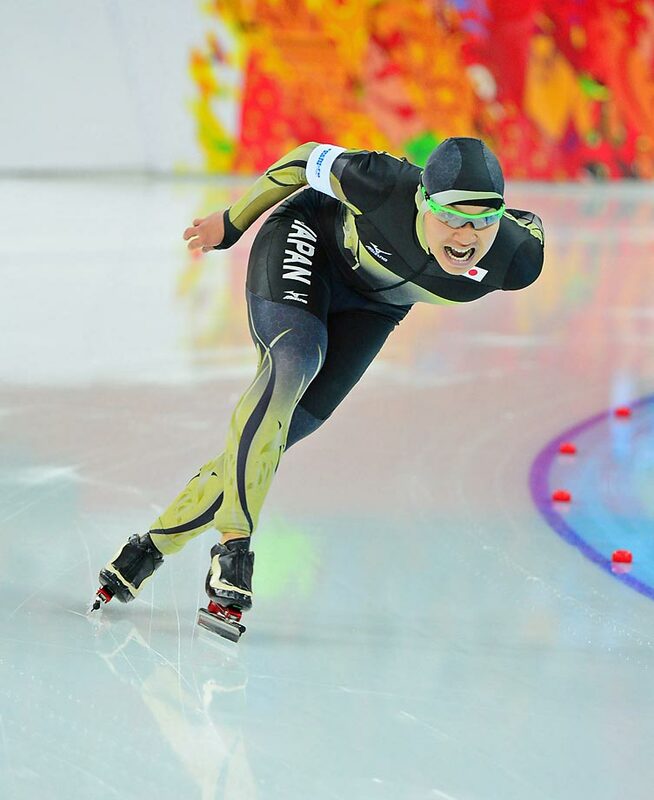 Maria Hoefl-Riesch finished 0.55 seconds behind Fenninger to claim the silver medal. 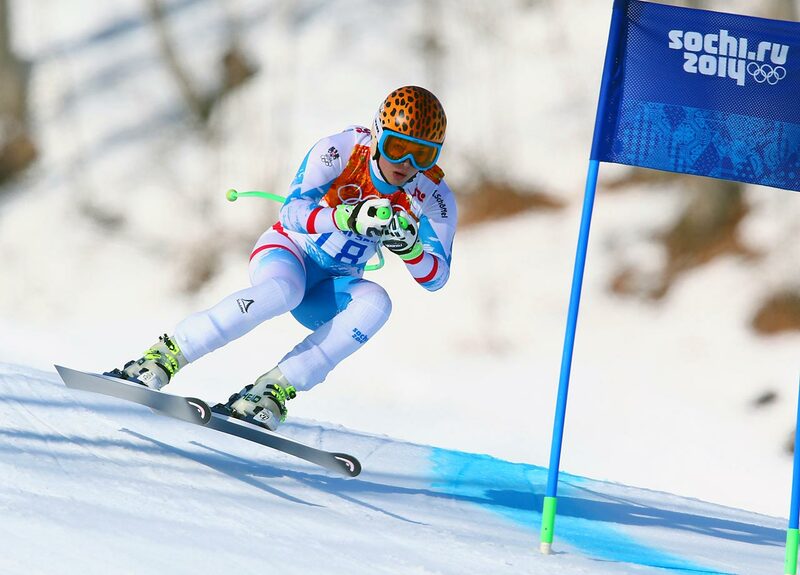 Marusa Ferk of Slovenia during the Super-G.
Leanne Smith of the U.S. catches some air in the Super-G.
Macarena Simari Birkner of Argentina in the Super-G.
Eduardo Alvarez of the U.S. is taken down by Charles Hamelin of Canada in the 1000 meter. 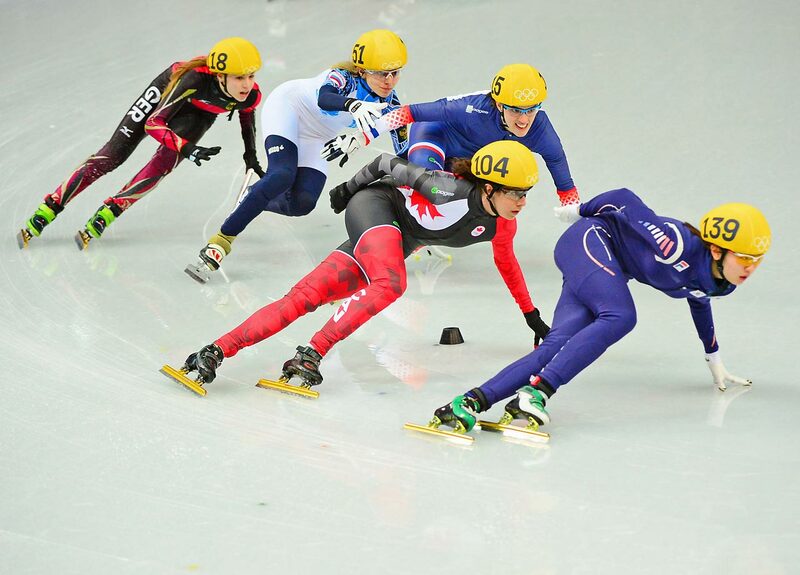 Action from the women's Short Track 1500 meter. 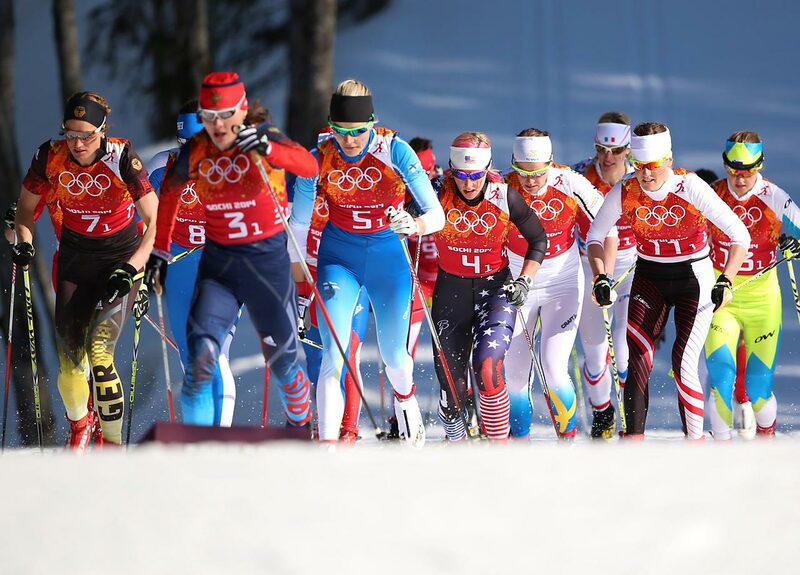 Ida Ingemarsdotter of Sweden (bib 2), Heidi Weng of Norway (bib 1) and Kikkan Randall of the U.S. during the first leg of the Cross Country Relay 4x5 km. 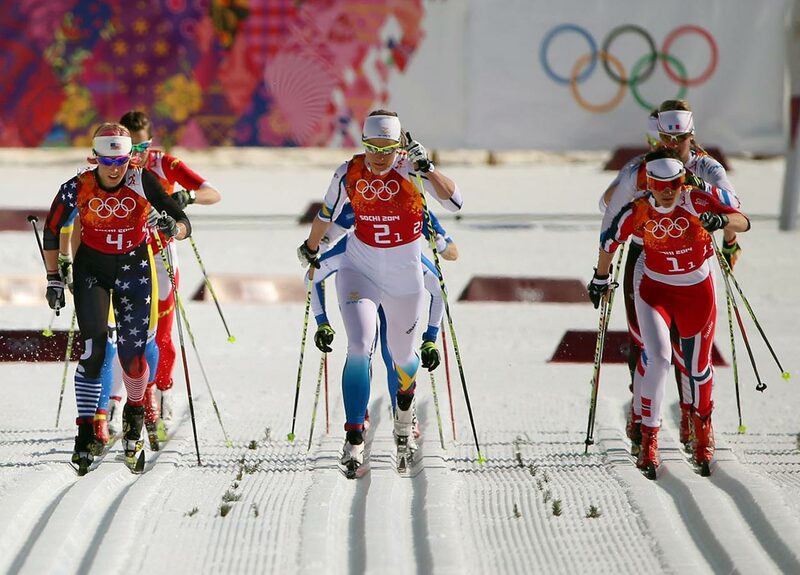 Kikkan Randall of the U.S. (Bib 4) during the first leg of the Cross Country Relay 4x5 km. 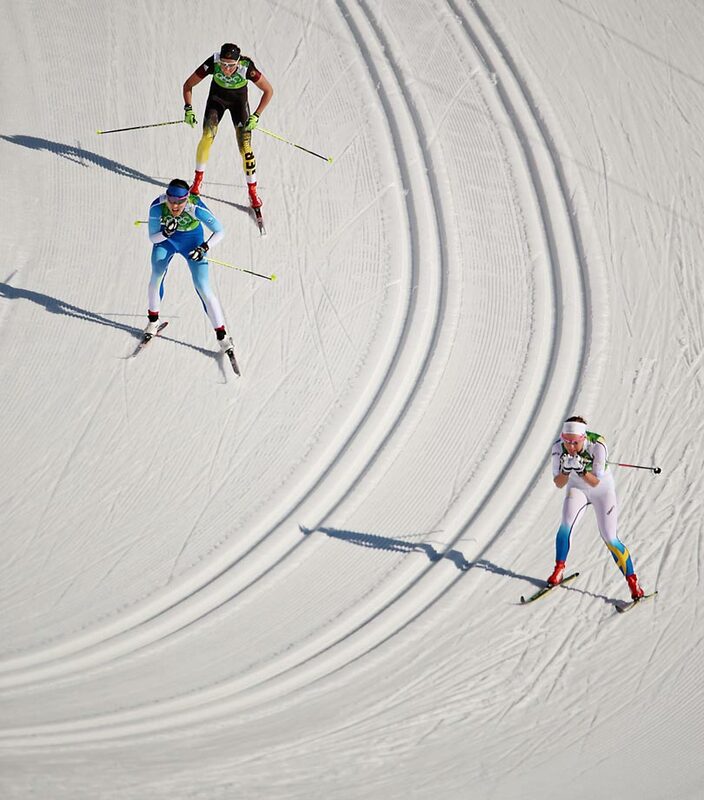 A challenging turn at the Cross Country Relay 4x5 km. 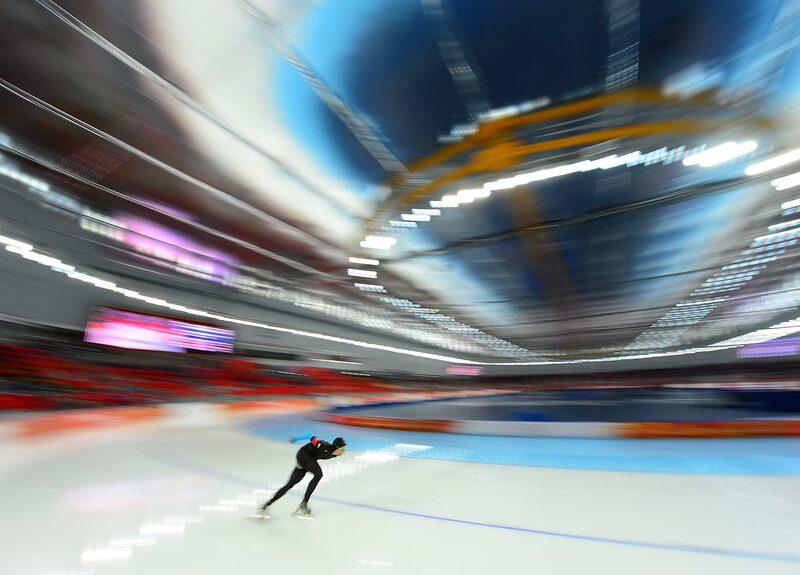 Taro Kondo of Japan competes in the Speed Skating Men's 1500m. 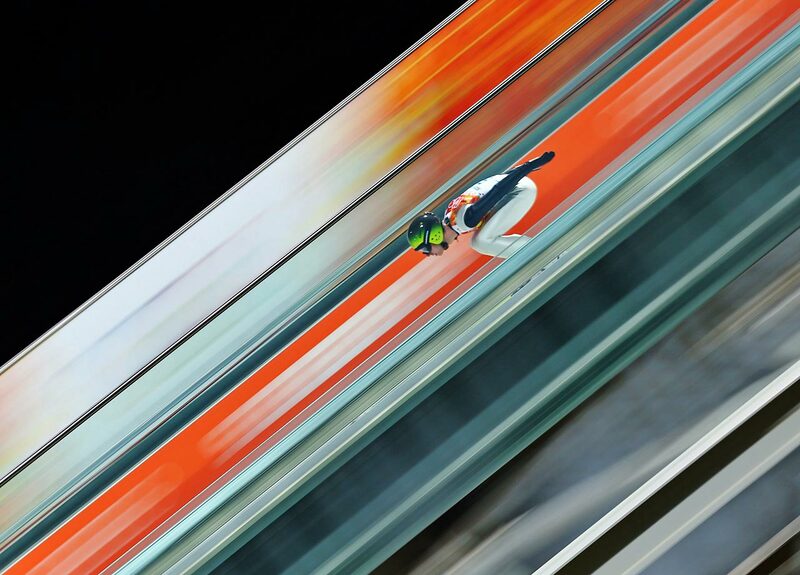 Mens Large Hill Individual Ski Jumping. 1st Round. 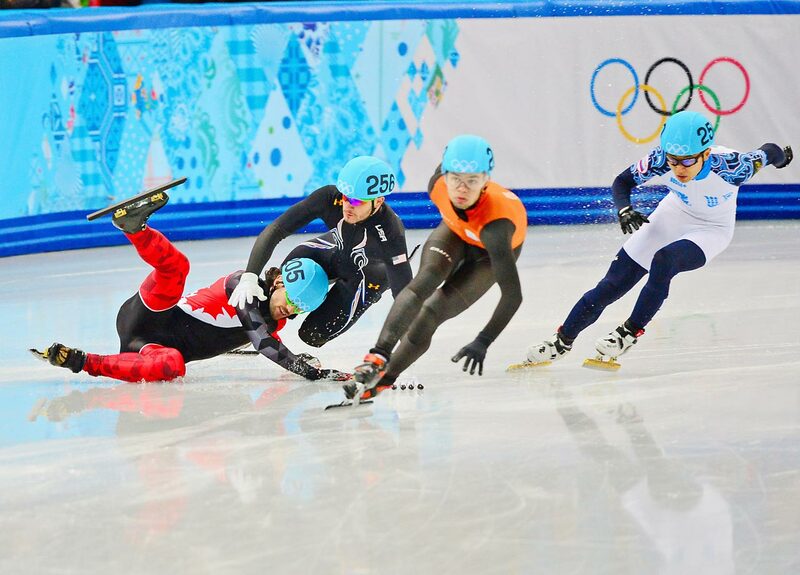 Overview at the mens 1500 meter Speed Skating. 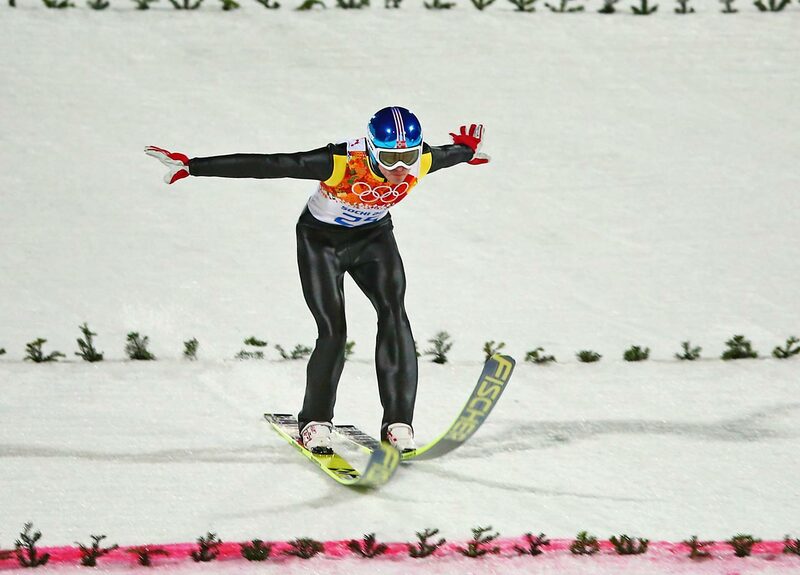 Gold medlaist Kamil Stoch of Poland is lifted on the shoulders of Maciej Kot of Poland and Jan Ziobro of Poland after the Men's Large Hill Individual Final Round round. 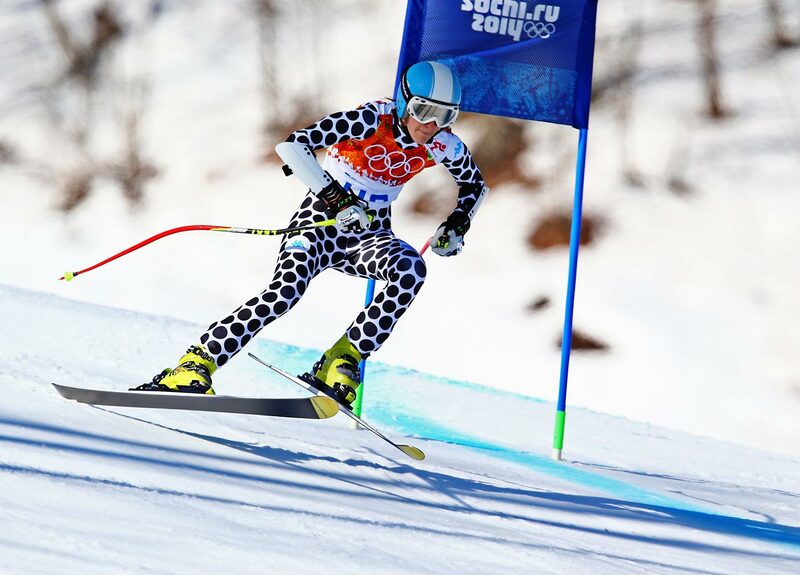 The Mens Large Hill Ski Jumping competition was hampered by strong winds that forced the cancellation of the trial round. 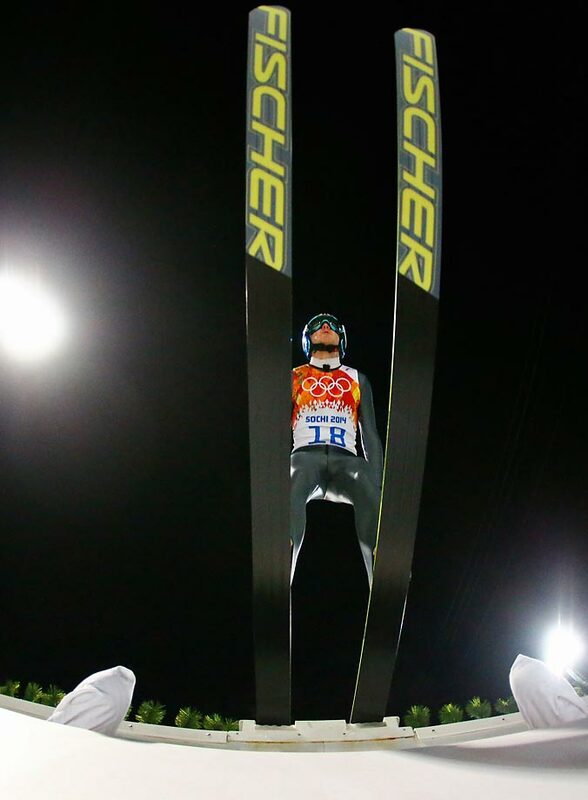 As the jumps became dangerously long in the final round, officials lowered the position of the starting gate.